There are times in life when stopping by our favorite dive satisfies the desire to have a good time and a good drink. There are other times when just having a cocktail, glass of vino or pint of beer simply won’t do. For those times, I propose a couple of my favorite places to let loose. If you think like I do, then you’d agree that Tour De Tavern is a perfect reason to have a good time, because we all know that calories don’t count if some sort of exercise is done before, during or after cocktails. A monstrous bicycle, your favorite booze (it’s BYOB), good friends, all the singalong classics, and a little exercise on the ride from bar to bar is Tour de Tavern’s master recipe for fun. 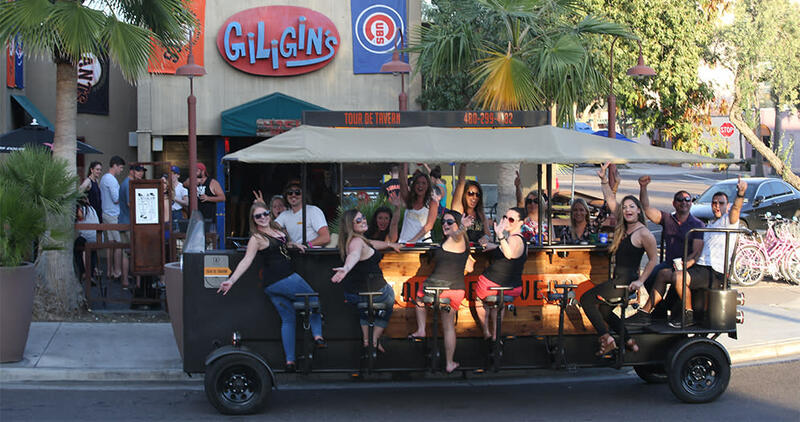 Add in awesome drivers that are experts at keeping the party rolling and you’ve found the secret ingredient that makes this different than your average bike bar crawl. You can jump on a tour for $50 a person or can rent out the entire bike for a private party. I definitely think the experience is worth a chance to visit downtown Scottsdale’s watering holes with a little less guilt and a lot more fun than hopping in an Uber. Unlike your typical golf country club, everyone is a member at Topgolf. 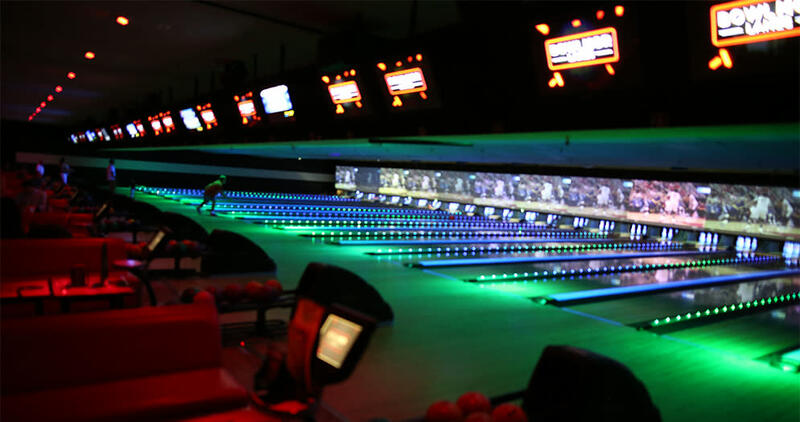 Located next to Talking Stick Resort, Topgolf is a place where partying and technology meet golf. 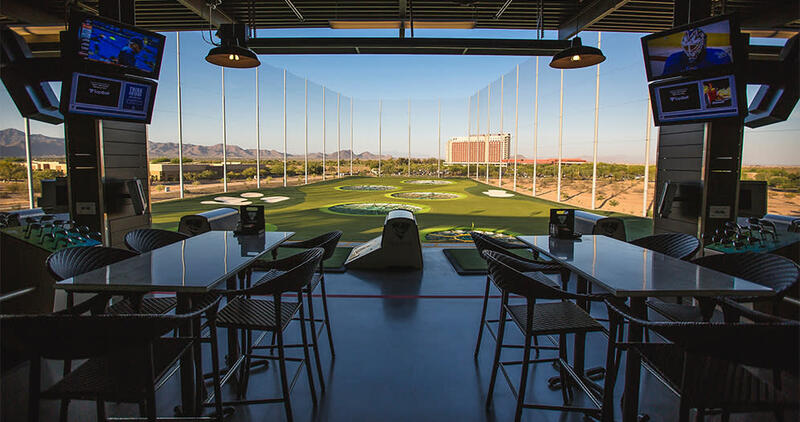 Topgolfers swing real clubs and hit real golf balls against the backdrop of a beautiful desert landscape in a climate-controlled bay (think bowling, but with golf). No need to caddy around to pick up balls or have to go back to the club for food. With dedicated food and beverage service at your bay, you’ll find no need to do more than hang with your friends and work on your golf and drinking game. Topgolf is meant for people at all golfing skill levels (even people like me, who are less than a beginner). It all started with my friends and me throwing out ideas about how to stay cool on an exceptionally hot Arizona summer day. 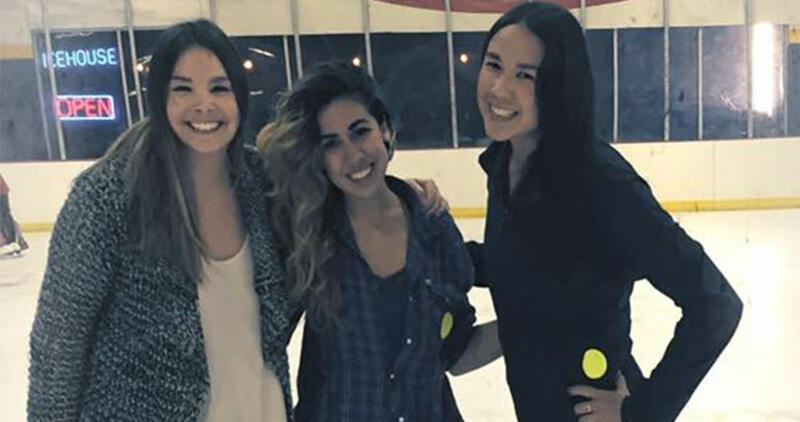 After going through a must-have list that started with cold beer and ended with a cold, dark place where we could pretend to be Olympian ice skaters, we came up with AZ Ice Rink. 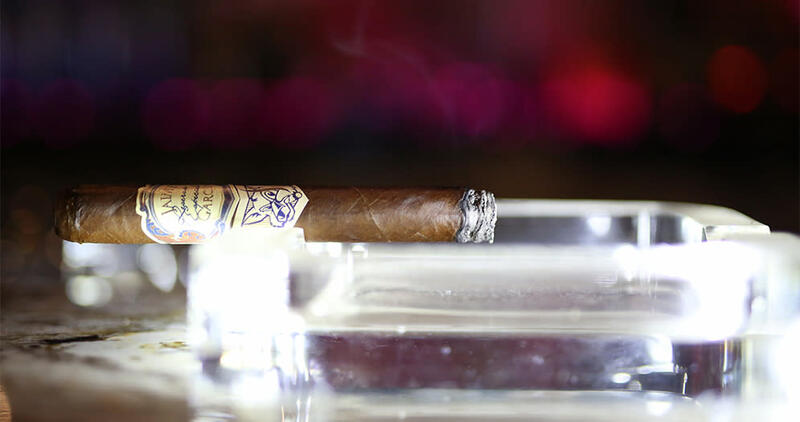 Lucky for us, this local favorite also features the rink side Ice House Tavern. Both are particularly refreshing on a warm day, but are fun on any occasion. The Tavern is always cold, and satisfies when the “no windows, eat pub fare mood” sets in. It’s also the place to be for cheap $3 beers and an ice-rink view you might not expect in Scottsdale. While it might be tempting to just hang in the bar, I definitely suggest getting out on the ice. Responsibly, of course. We all have our favorite hangouts, but it’s always a good idea to mix it up and have a little extra fun when you head out for drinks.